Fat Frocks: Fat Frocks guide to choosing a watch. A watch can be more than a timepiece. It's an expression of the wearer's personality. Different watches are suitable for different occasions and if you're thinking of investing in one you will be wearing for a long time there's a lot to consider. 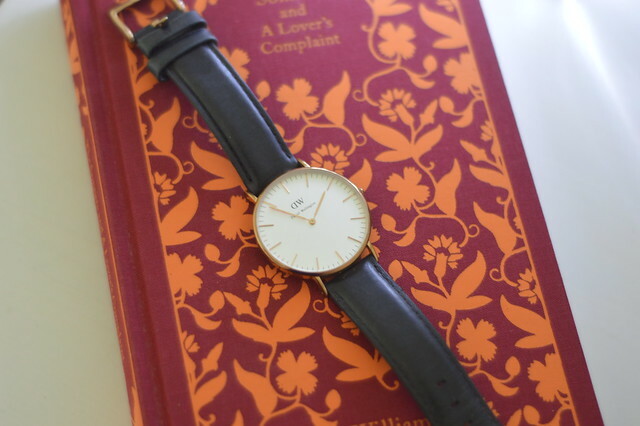 I adore my Daniel Wellington watch (old post here) and tend to opt for quite classic/traditional style watches but wouldn't immediately know which watch to buy as a gift for someone else. Before shopping for a watch it's best to take a bit of time to consider the size and shape, the way it keeps time and what features it has. A well thought out gift will mean the recipient will get much more wear of of it and hopefully it will suit their lifestyle and personal style. 1. Match the watch's Style to the recipient. A watch should match the wearer's lifestyle, if the person you are buying for is active outdoors, a sport watch for running and hiking may make sense. Something like a Casio watch makes a great present for a man or someone who has a retro look. In some professions, like nursing and other healthcare professions, wearing a wristwatch is impractical so you could buy a fob watch. The wearer can easily check the time without worrying about germs lurking under the strap. If the watch is for a special occasion like a anniversary or retirement you might want to consider something featuring fine materials and expert craftsmanship. A swiss watch would be a great fit for this. 2. Match watch colour to characterises or wardrobe. If you're buying a sports watch you will focus on funtionality but fashion watches should look good on the wearer. You could try and match colours to their wardrobe or physical features. Black watches complement darker colours and bolder physical features, while a neutral tone (such as silver) goes well with a variety colours and physical characteristics. Buying a gift also means you could buy them something they wouldn't normally buy themselves, maybe something in a bold colour. One of the large rose gold Marc Jacobs style watches might be a big heavy for a teen to wear or be too big for some with who is very slight. A more masculine, large watch is great for making an impact but a smaller band and dial could be great for someone who doesn't like to stand out too much. It may be difficult to get the wrist circumference if the watch is a gift. Get the band a tad larger to be cautious, its easy to get a link removed but much harder to get another link to add in to a metal band. Swatch have a 24 month warranty and you can mix and match their straps and dials. Second hand watches can be good value, have pedigree and increase in value over time. Links have Swiss movements, mother of pearl dials and can engrave watches for you. I hope these tips help you find the perfect watch. I kind of want a watch- I've not worn one for years, but I don't seem to be able to find what I want. I think I want something metal, but more masculine and certainly less Marc Jacobs than most of the ones out there. 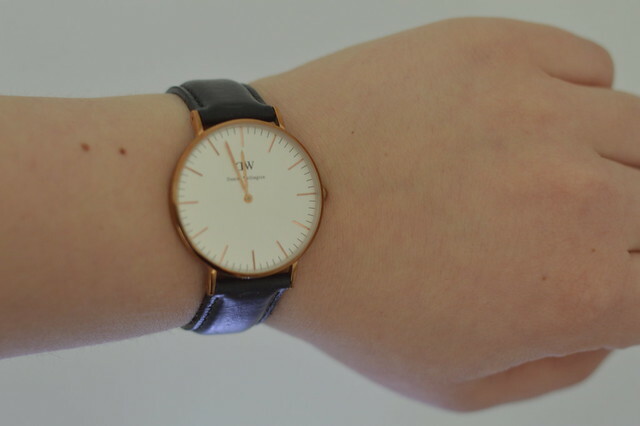 You would suit one with a classic stye strap but something fun on the dial so it's a bit different.